Spread and Application Manufacturing with Aluminum Like Selecting Ingredients in a Recipe - Yamaha Motor's Waza and Sube | YAMAHA MOTOR CO., LTD.
One Yamaha engineer who knew Genichi Kawakami, Yamaha Motor’s founder and first president, described him as “a man who strongly believed in the principle that working raw materials into shapes and forms was what formed the foundation of any manufacturing enterprise.” In Yamaha’s case, this refers to metals shaped through casting and forging into parts for use toward the building of a final product. Genichi Kawakami was known to be a shrewd and astute head of the company, but as an engineer, he could see through to the core essences lying behind technological pursuits. This perspective lives on today at Yamaha Motor, firmly rooted in our corporate culture. 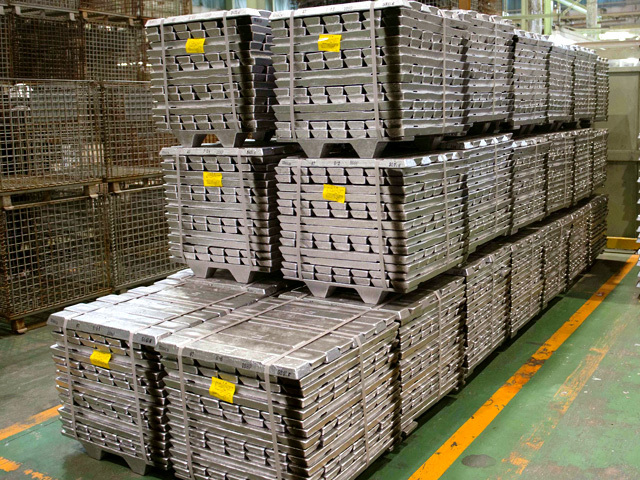 In Yamaha’s manufacturing facilities are rows upon rows of stacked aluminum ingots (#1) of all shapes and types. They almost look like the carefully selected ingredients laid out by a master chef, waiting to be transformed into any dish ordered by a customer. The motorcycles and outboard motors Yamaha manufactures are destined for a very wide range of uses, from sports and recreation to commercial operations. They are all used outdoors and some motorcycle and outboard models must have high levels of durability to withstand the harshest of use conditions. Furthermore, they need to be engineered and designed down to the finest details for a more human-focused fit or feel in operation. 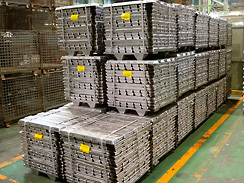 Meeting these kinds of customer needs and the proper selection, preparation and care of the right raw materials are essential, and the diverse assortment of aluminum ingots lined up in our factories are manifestations of how these two aspects of manufacturing are interlinked. All of the stacks of ingots awaiting use may share the same soft silver glow, but their actual composition varies. To begin with, the components used in aluminum alloys for casting and those for forging are different, and just with casting, the aluminum used primarily for gravity casting and the aluminum used for die casting also have different qualities. Although they are all referred to as “aluminum,” they are actually alloys containing silicon, magnesium or other elements. The fine balance of the ratio of these alloy components determines the exact qualities the final piece will have, like the ingredients in a recipe for fine cuisine. This is why Yamaha places great importance on R&D of aluminum itself. In 1993, Yamaha succeeded in creating a viable new aluminum alloy named “YDC-30” (#2) that provides excellent resistance to corrosion, even when exposed to saltwater. It was adopted for casting the bottom-most parts of the outboard engine casing and the lower unit of the outboard that is immersed in seawater. This was not only to ensure a high level of reliability in such harsh conditions but also to ensure the strength to withstand the impact of striking driftwood and the like. To develop Yamaha’s all-aluminum DiASil Cylinder, which brings benefits like eliminating the need for a steel or iron cylinder liner, improved cooling performance, reduced weight and lower manufacturing costs, our engineers took on the challenge of using an aluminum alloy with a silicon component ratio of 20%, something previously considered too difficult with conventional die-casting methods. By using Yamaha’s Controlled Filling (CF) aluminum die-casting technology, our engineers succeeded in casting a high-performance engine cylinder made of a high-silicon aluminum alloy at a lower cost. Today, our DiASil cylinders are primarily used in sporty, small-displacement motorcycles, but R&D efforts are currently underway aimed at expanding their use to include outboard motors and automobile engines going forward. Like a chef’s care in the selection of ingredients for an exquisite dish, the raw materials used in manufacturing determine the quality of the finished product. With this same belief, Yamaha Motor continues its research every day into materials and seeking yet untapped potential. 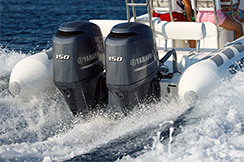 (#2)Yamaha outboard motors use the YDC-30 aluminum alloy developed exclusively by Yamaha. Copyright © Yamaha Motor Co., Ltd. All Rights Reserved.